Book the Bay Vista Food Truck for Your Event! We offer a variety of menu options for you to choose from including but not limited to tacos, nacho bowls, breakfast burritos, fajita bowls, hot and cold soups, chips & salsa, salads, and rolled tacos. We also offer soft drinks, bottled water, sports drinks as well as hot and cold coffee. Please keep in mind when booking the truck we are typically looking to serve a minimum of 60-75 guests at each event. There is no maximum. We have a ton of great catering available for smaller groups as well - please see our catering page for more information on these options if you don't think you will be able to hit the minimum for the truck. 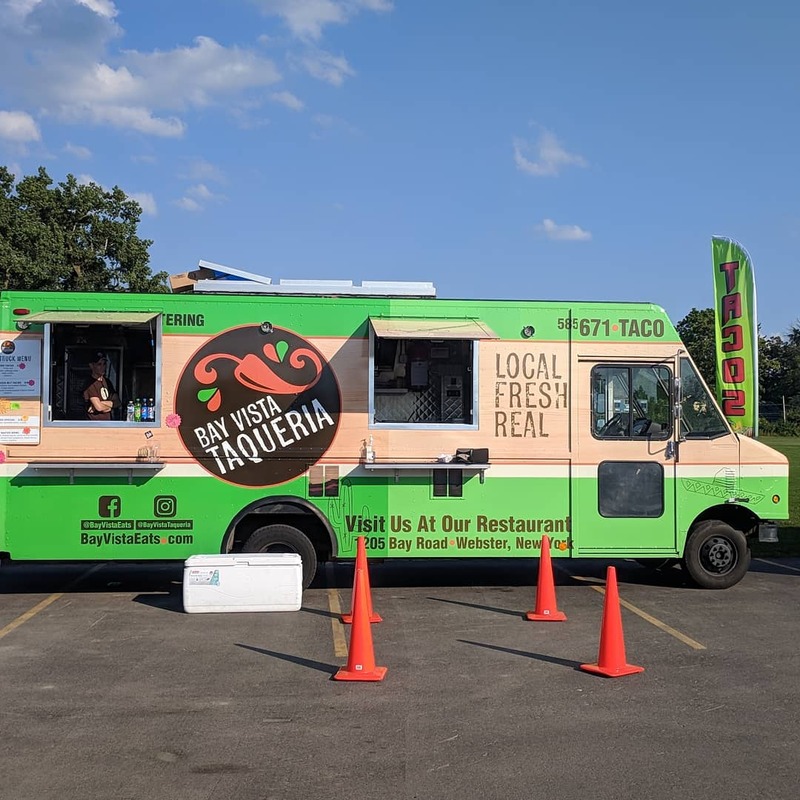 For more information on the food truck or to book us please call the restaurant at 585-671-TACO(8226) and ask to speak with Dave. If I am unavailable our staff will take a message and I will get back to you as soon as possible. Follow us on Facebook to get up to the minute announcements on where the truck is for a public event.